The Global Radio Controlled watch is designed with frequent global travelers in mind. For the jet setter, it is difficult to plan and adjust time schedules of various countries when travelling. But the Radio Controlled watch makes it a breeze to move across the continents and easily adjust time. 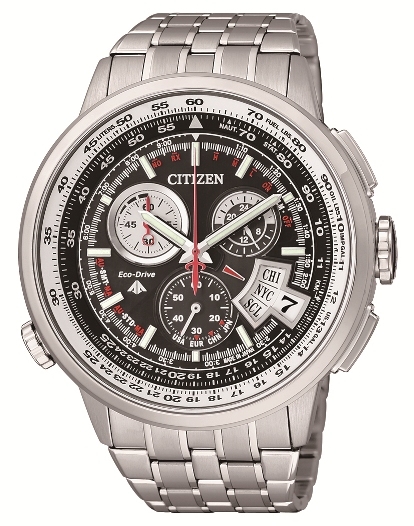 The Pilot watch design also gives an inventive look to the watch. 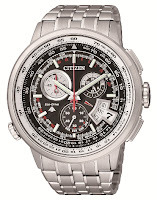 Launched recently in the Middle East, the Eco-Drive Global Radio-Controlled Watch model is CITIZEN's first analogue chronograph capable of receiving standard time radio-waves from multiple stations around the world validating this watch as the most accurate wrist watch in the world.